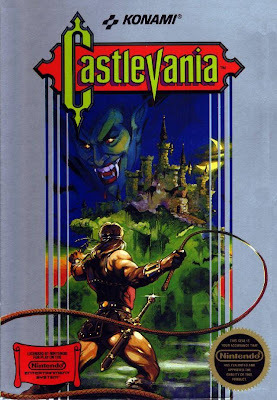 Though I already own Castlevania on the Wii's Virtual Console I just had to buy it for a second time when I saw it on the 3DS E-Shop, who wouldn't want Castlevania on the go? 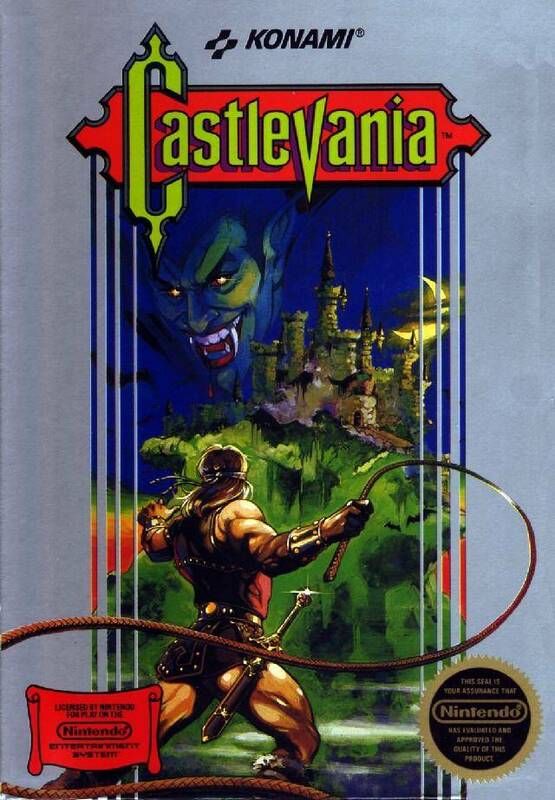 You play as Simon Belmont who has started an assault on Dracula's castle (fittingly named Castlevania) in a bid to defeat the dark lord and restore peace to the land. That is about it for the story. 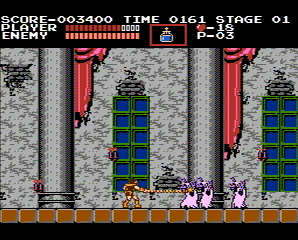 You work your way throughout Castlevania, starting in the castle grounds and ending in Dracula's throne room at the very top of the place, each level preceded by a map showing the route you are taking. The game is split up into six different levels made up of a variety of stages and all ending in a boss fight. Still the best thing about this game is the music, the Castlevania series for the most part has been full of amazing songs and this can be seen even in the original. The years have not been kind to this game, Simon controls very badly, his whip attack is unreliable at times, he walks as slow as a zombie, actually scratch that, he walks slower than the zombies as they are quite fast! Your jump is terrible, unable to move once you have jumped and is just weird feeling. The power ups of axe, holy water, throwing knives and crucifix are all classic and all useful for different situations, while the stop watch is...well it is the stop watch. One of my favourite things about the series other than the music is the horror aesthetic that was quite unique at the time and appealed to me, having the game all wrapped up in a castle gives it a strong theme so that levels don't feel disjointed. Common enemies are bats, bone throwing skeletons, leaping flea men and floating Medusa heads. Bosses are a chance for the game to shine and while they can be cheap to fight against they are memorable and crop up many, many times in future instalments. 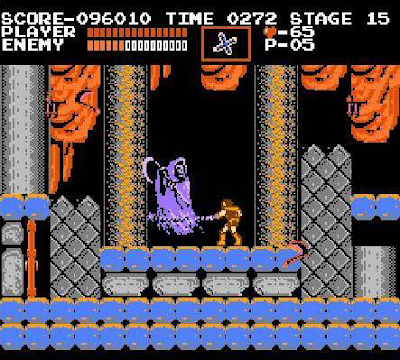 Death and Dracula are pretty much the same in all the games and both great battles, while the giant bat, Frankenstein's monster, giant Medusa head and mummy duo make up the other ones (also appear in future games as both boss characters and demoted to ordinary enemies). While Castlevania is a classic game it is just a tad frustrating nowadays, I know this is due to the challenge vanishing from games and my past self would hit me for saying that but I found myself impatiently rushing through the thing, cursing every now and again by the random nature of the enemies attacks. If you like the series and have yet to play the original it is worth it, but otherwise move along, there are far better games in the series.